Which king size mattress do we need? hi me a 6 foot male 19 stone my missus 5 foot 12.5 stone. thinking of a new mattress I get very hot and clammy when asleep so not sure on what sort of construction would be ideal for us.also firmness going on size of mattress required,height and weight of myself and missus.the base for the mattress is wood frame and latts across it.was thinking maybe a combo of coil sprung and foam or latex or what you can recommend. Thank you for your enquiry via our website. The only mattress we produce that is a combination of pocket springs and latex is our Origins Pocket Latex 1500. This mattress is firmer in the upholstery layers and it may be too firm for your wife. If her comfort preference is a firmer mattress we would recommend a zip and link mattress with the 1500 spring option on one side for your wife and the 2000 spring option on the other for yourself. Natural fibres provide the coolest sleep surface closely followed by latex. 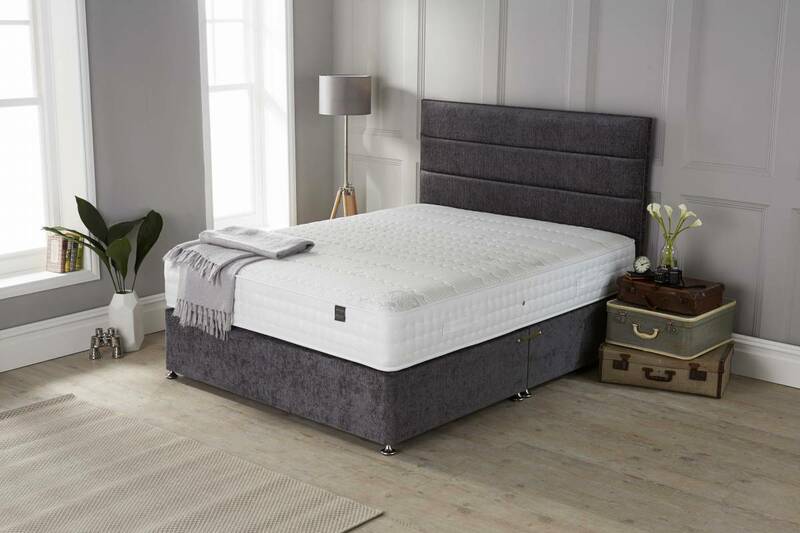 Our Artisan range can be made with a dual spring tension if you would prefer a one-piece mattress or a zip and link set with medium/firm spring tensions to give you both the correct level of support. Comfort is subjective to each individual and without knowing your preferences or sleeping habits I am unable to recommend a specific model within our ranges. Any of our mattresses would be suitable on a slatted base as long as the space between the slats is no more than 3 inches. If this is the case with your bed frame we would recommend boarding the slats over with MDF or plywood to stop the mattress from settling into the gaps which gives the mattress a lumpy feel and over time this will damage the mattress. If the gaps are smaller we would just recommend a barrier, such as an old blanket or duvet, to protect the underside of the mattress from indentations. I trust this helps, if you would like any further advice or would like to discuss the suitability of any of our mattresses please do not hesitate to contact the office on 0161 437 4419.